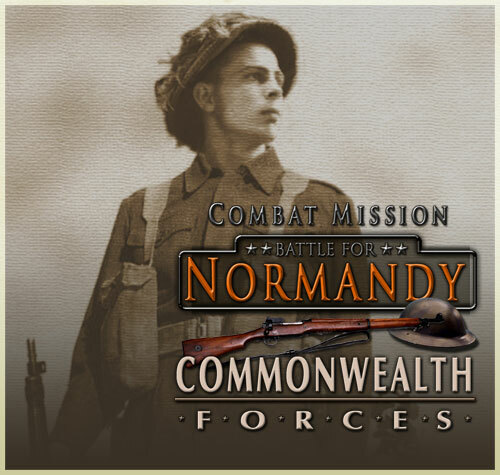 Battlefront.com announced the newest expansion for their WW2 tactical computer wargame Combat Mission: Battle for Normandy. Commonwealth Forces brings…err…well…Commonwealth forces to the game. The Commonwealth Forces module includes all new, meticulously researched and historically accurate UK, Canadian and Polish units and formations. The full range of Commonwealth weaponry is brought to life with the same amazing level of detail and simulation fidelity found in the previous Combat Mission titles. 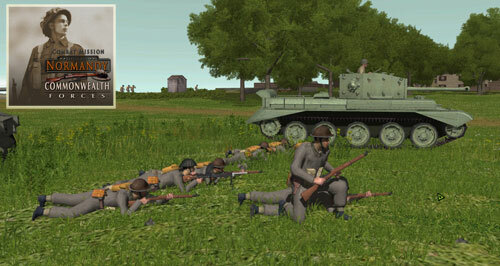 This module will also bring you new German formations, such as the “Waffen SS” and the Luftwaffe. Several variants of the iconic Churchill tank, the Cromwell, Stuart and Firefly will be included along with many other new units. The Germans will see the mighty King Tiger and the Jagdpanzer in their arsenal among several other additions (see bellow for a complete list of new units). All formations can of course be mixed as part of a multi-national joint task force, using any of CM: Battle for Normandy’s available units. Included in the package are all new scenarios, quick battle maps, and a campaign for exciting play right out of the box – before digging in and using the powerful editor or sharing scenarios with other CM: Battle for Normandy gamers.